Tinuku ~ Danish firm Bjarke Ingels Group (BIG) won competition for Paris Metro Station with circular design. 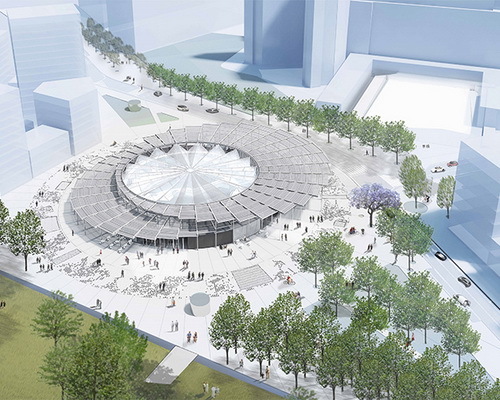 BIG cooperate with the French studio Silvio d'Ascia Architecture to design circular station in Metro Paris as part of the Grand Paris Express. 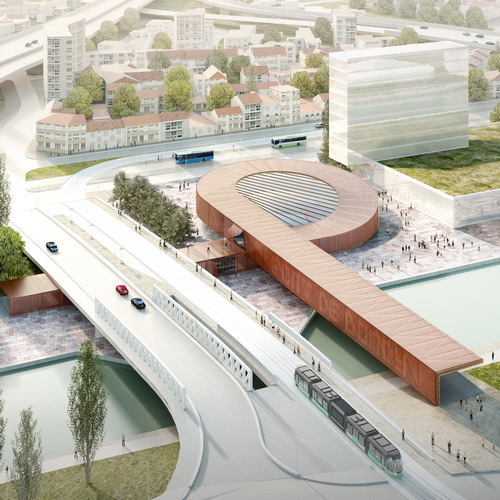 BIG and Silvio d'Ascia Architecture designed the station Pont de Bondy as part of the Grand Paris Express as new set that will extend the metro system of more than 200 kilometers. The Building featuring terracotta color surrounding covered concourse. 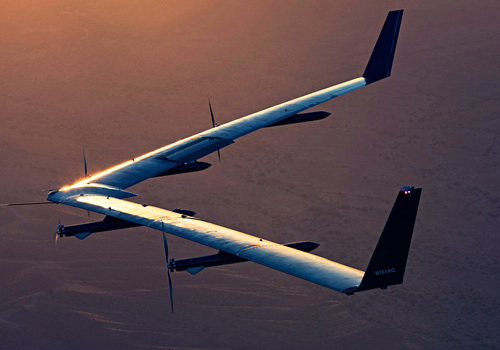 A wing out of the right corner under the overpass and the other wings on water. Pont de Bondy station located on Line 15, the ring will surround the outskirts of Paris. 75-kilometer stretch of track divided into three branches. Line 15 South, Line 15 West and Line 15 East where each station connected with another transportation mode. Grand Paris Express is a network of public transport lines that play very important role in the overall masterplan. Nine node has been designed by several architects of the most influential in the world including Bjarke Ingels, Kengo Kuma and Dominique Perrault. Urban projects will significantly appear along transportation routes that will be built. The new environment with variety of features including housing, economic activity, university centers and cultural facilities, particularly in strategic areas. 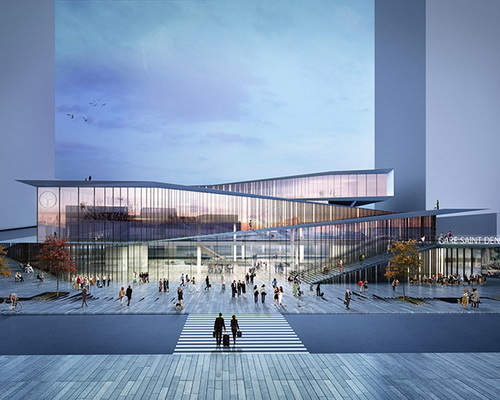 Total 37 architects teams working on 68 new stations for Grand Paris Express marks epic investment in urban infrastructure of the future. The entire project Grand Paris Express includes all the new station and line should be up and operational in 2030.